Many couples suffer from fertility issues, and it is a well-known fact that fertility diminishes with age. But if you are over 40 and trying to conceive, you shouldn’t lose hope. The ancient art of traditional Chinese medicine (TCM) and acupuncture may be able to help. Around the world, as many as 9% of couples have difficulty conceiving. Receiving a diagnosis of infertility can be extremely stressful, and this stress will only make it harder to become pregnant. Many couples choose to undergo assisted reproductive therapies such as IVF, and more and more people are now turning to Chinese medicine and acupuncture to help along with IVF. Couples with fertility problems are more likely to get pregnant using traditional Chinese medicine. In fact, research has shown that couples using Chinese herbal medicine are twice as likely to conceive within a four-month period and that acupuncture could potentially halve the time it takes to become pregnant. If you are already trying to conceive, we are sure you will have come across terms such as high FSH and low AMH. These female reproductive hormones are an indicator of your ovarian reserve. With age, your FSH levels naturally increase as your AMH levels fall, and it becomes more difficult to conceive. According to TCM, your uterus, ovaries, and reproductive hormones are part of the Kidney system. In Chinese medicine, the Kidneys role is far more complicated than just filtering water. The Kidneys are responsible for growth, development, reproduction, and birth. They are the seen as the source of all yin and yang within the body, and also store a substance known as jing. Jing translates as “essence” and it is this vital substance which governs our ability to conceive. Every person is born with a fixed amount of jing, much like every woman is born with a fixed number of eggs. Your jing is naturally depleted throughout the course of your lifetime, making it harder to conceive as you grow older. You can supplement your jing and make it last longer by living a healthy lifestyle, and by using Chinese medicine and acupuncture. When treating fertility issues with TCM, one of the most important principles is to nourish the Kidneys. This will help to restore your jing as well as benefiting your uterus and ovaries, thus increasing your chances of getting pregnant. How does Acupuncture help with Fertility Over 40? Acupuncture and Chinese medicine have already helped many couples to conceive. You can read some of our past patients’ fertility success stories here. If you find yourself over 40 and wanting a child, it is important to make changes to your lifestyle. Adopting habits that slow down the ageing process and help you preserve your fertility is one of the best ways to increase your chances of success. Improving your diet, exercising regularly, using supplements, Chinese herbs, and acupuncture can all help. It is always best to consult a TCM expert so that they can make a professional diagnosis and tailor this advice to suit your individual needs. 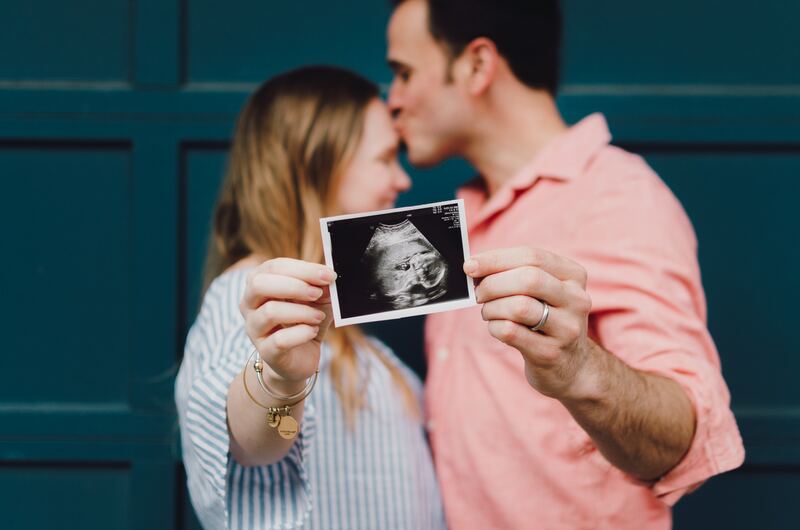 Here at GinSen, we can provide you with a personalized plan and help to guide you through your journey to reach your full fertility potential. Nuan Gong Yun Zi Tang is an ancient Chinese herbal formula. This unique tonic is based on the Chinese principle of Yin Yang. It helps balance your hormones, promotes natural conception and aids overall fertility. It also helps keep your uterus warm along with improving its lining, increasing blood flow and removes any blockage of energy to the reproductive organs. Nuan Gong Yun Zi Tang can be purchased here. You migh also be interested in: is your uterus too cold to conceive? 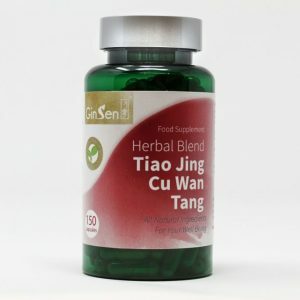 Tiao Jing Cu Wan Tang is an ancient Chinese herbal formula used to enhance your hormone system, reproductive organs, it also increases your blood circulation, unblocks energy, removes blood clotting and changes your uterus line to make conception easier. It is specifically great for women over the age of 40 who are looking to conceive. Tiao Jing Cu Wan Tang can be purchased here. Women’s Life Power is used to help balance women’s hormone levels. It can also be used to help with PCOS, promote natural conception, boost energy levels and promotes overall fertility function. It also helps with body’s water retention, boosts memory, improves the quality of eggs released and helps with high FSH and low AMH levels which lead to infertility. You can purchase Woman’s life power here. If you are looking for further information on how to treat low AMH and high FSH level with Chinese Medicine and Acupuncture here. Thanks for another marvelous blog! I truly enjoyed reading it, you can be a great author. I have been trying to conceive for a while. Quite an informative post. Conceiving over 35 is a struggle. I have my first one on the way thanks to Chinese Medicine, its been a very interesting read. Is Your Uterus Too Cold To Conceive?